It is a joyous moment when the favorite pressure cooker is purchased for the kitchen needs. Is it purchased for preparing a special stew or for preparing healthy soups to cut down inches on the waistline? It can be used for preparing rich and flavorful dishes as well like biriyani, rajma, chana, mutton keema, etc. The best part is, with the online range of smart, modern, innovative, and trusted cookers, there are different accessories and a manual provided to help in preparing the specialties and handling the pot rightly. One can buy a normal pressure cooker or an Induction Based Cooker for satisfying the kitchen needs. 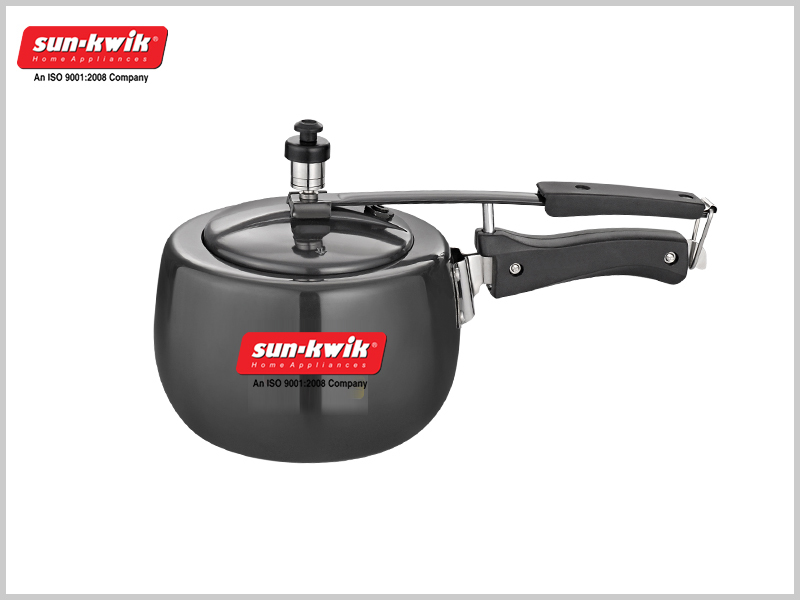 There are the stainless steel bodied cookers, the aluminum and the hard anodized cookers as well as the non-stick cookers included in the array. Choose according to your requirements. Some of the latest models of pressure cookers serve the purpose of both cooking as well as serving. The aluminum ones are lighter in weight, more durable as compared to the other materials, and cost effective too. Some of the new models are exotically painted with different colors on the outer side. Stainless Steel Pressure Cookers: – Cookers with the classiest finishes and are easy to maintain. These pots are highly durable and look like a newly added cooking appliance for years. Stainless steel cookers can be a great choice. Hard Anodized Pressure Cookers: – If one is a huge aluminum pressure cooker lover he or she would surely go for the hard anodized options. These are the evolved version of the regular aluminum models. The cookers of this range are much more durable and sturdy as compared to the pure aluminum counterparts. The design, elegance, and color prompt the chef to cook and serve in the same pot. These are easy to maintain because of the stick and stain resistant property. Microwave Proof Pressure Cookers: – Fast cooking in microwaves is further augmented by the use of the freshest microwave proof pressure cooker models. Both nutrition and aroma is preserved as the food gets cooked faster inside the airtight vessel. Do not forget to check the bottom of the pressure cooker while purchasing the product. Even if one is buying online then also one must check out the description and the images of different parts of the pot that are displayed there. Pressure cookers designed with induction bases work with flair both on the induction cooktop and the gas. Buy an Induction Based Pressure Cooker Online in order to save more on the best pick in terms of look and the other features. The anti-bulging base encompasses the multi-layered base in order to retain the original shape of the pot for a longer time span. The pricked stainless steel plate on the bottom of the cooker make the pot perfect for both gas stove cooking as well as for induction cooking. The alpha stainless steel plate performs with thirty percent more efficiency as compared to the normal induction compatible pressure cookers. The shape of the cooker is one more essential fact to consider while choosing any. It is completely your personals choice. There are the apple-shaped cookers, handi shaped cookers as well as the regular shapes in the range. The pressure cookers are available in different capacities like 2 liters, 3 liters, and 5 liters. These pots can come with either an inner lid or an outer lid. Explore all under one roof and buy your favorite one at the best price.